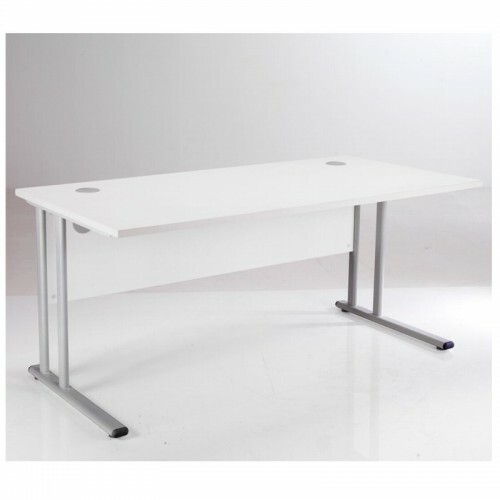 The Essentials white rectangular desk is a sturdy no nonsense workstation available ex stock. 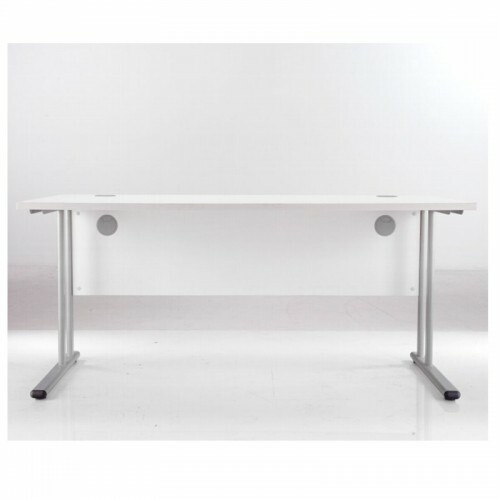 This white office desk is suitable for a range of users and environments and comes in three different sizes. The elegant and strong silver metal legs add a modern look and desk top cable ports provide simple cable management. The MFC top is 25mm thick with a 2mm protective edge. The stylish look of this desk is perfect for offices that do not want the standard look.